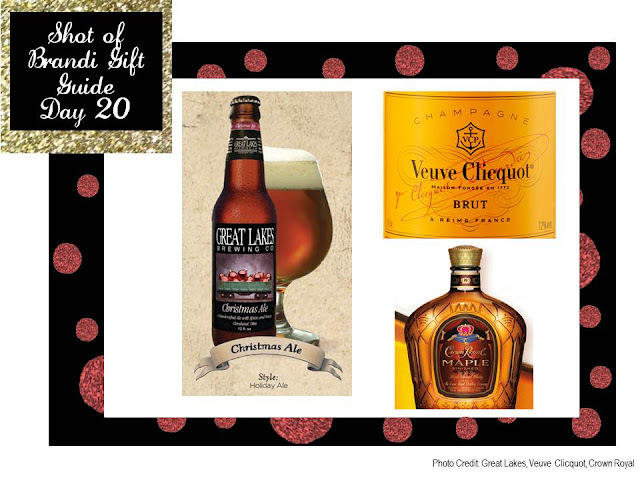 · Great Lakes Christmas Ale: A favorite of the Smithkowski’s! In fact, we visited the brewery this past Monday! · Grey Goose Gift Set: You can never go wrong with vodka. · When in doubt, go with a liquor store gift card! · St. Germain: My favorite liqueur, this is fantastic in champagne or prosecco. · Veuve Clicquot: If you are going to go champagne, go Veuve. It’s really worth the price! · Crown Royal Maple: While Crown is sometimes considered a man’s drink (except for Reader Lauren), this maple flavor is rather tasty on the rocks!